Adulthood: too many responsibilities, too few cabin raids. Though summer once meant canoeing, campfire songs and other outdoor adventures, now the warm-weather months mostly involve bundling up for the office AC and snatching time at nearby beaches on weekends. Break free! 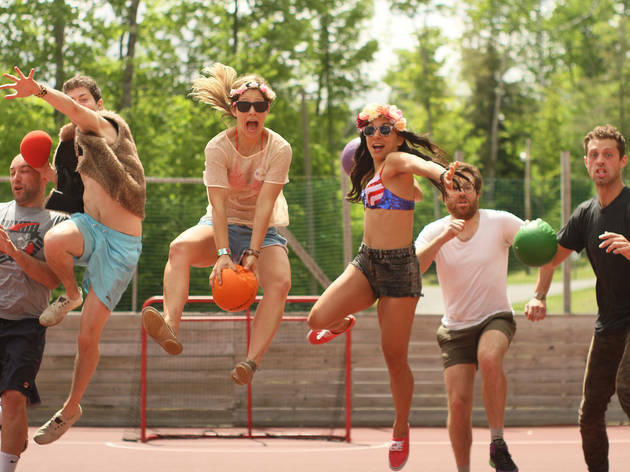 At an adult summer camp, you can tap into sleepover nostalgia while learning new skills or simply rediscovering the joys of unplugged playtime. But don’t even think of hitting up Muddah or Faddah for your tuition. You won’t find an open bar at Camp Grounded, but you will find a 126-acre forest, vintage cabins clustered around Wolfe Lake and an utter lack of technology. 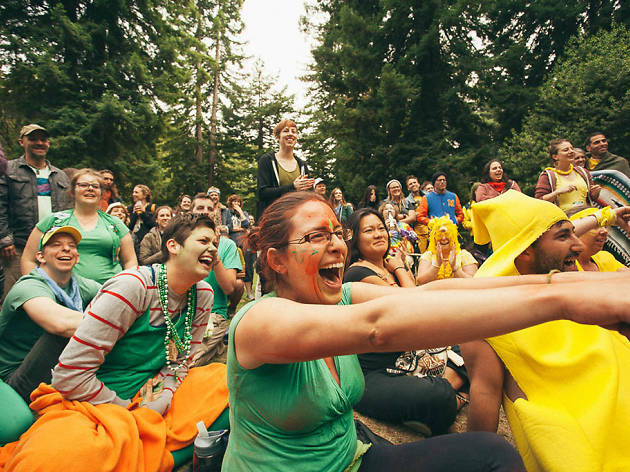 Camp Grounded’s rules are simple: no tech (screens, wearables, even digital cameras), no networking or work talk, no pets or kids, no alcohol or other drugs, no alarms and definitely no dubstep and glowsticks. It’s probably pretty similar to the summer camps you attended as a pre-Facebook child. There’s more of a range in the activities, from the traditional (kayaking, archery, talent show, color wars) to the New Agey (tai chi, sweat lodge, pranayama, silent dinner) to the truly analog (creative writing with typewriters, pinhole photography, charcoal drawing). 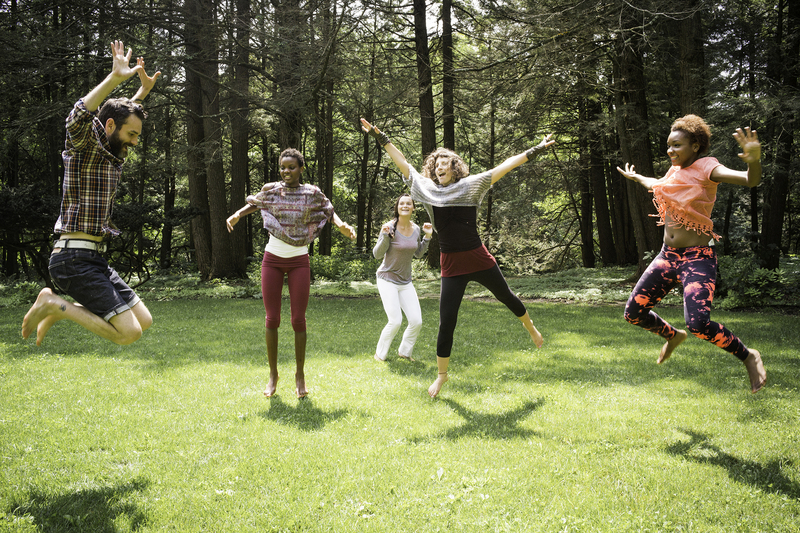 The idea is to “disconnect to reconnect” through traditional camp activities, wellness, friendship and self-expression with grown-up kids of all ages. 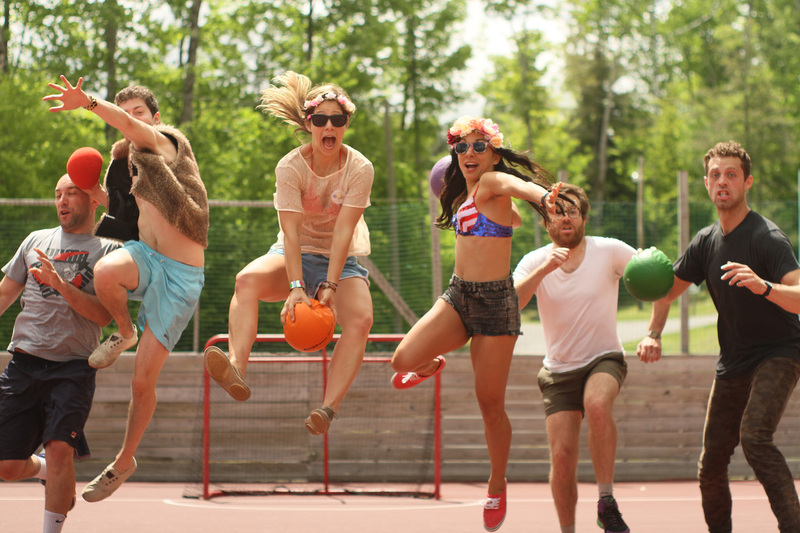 Camp No Counselors is all about that free feeling when the staff left you unsupervised for an entire night that one summer after the ice-cream social—wait, that didn’t happen to you? Want to play game after game of dodgeball, learn to shoot like Katniss and redeem your childhood loss at color war? Do it—no counselor will force you to go swim in the lake instead. Want to sunbathe, make friendship bracelets and sit around a campfire? You can do that too. No activities are required here except summer fun. These camps are just far enough from the city (on Paradox Lake in the Adirondacks and in the Angeles National Forest, near Valencia) to feel like you’ve escaped the crowds and not so far that you’ll get homesick. But who’s really going to get homesick when there’s an open bar—all. weekend. long. Once a Latvian church camp, Wandawega has been transformed into a hip haven for the Midwest creative class: Chefs, artists, brewers and architects have all gathered at the lakeside grounds for private unplugged retreats. 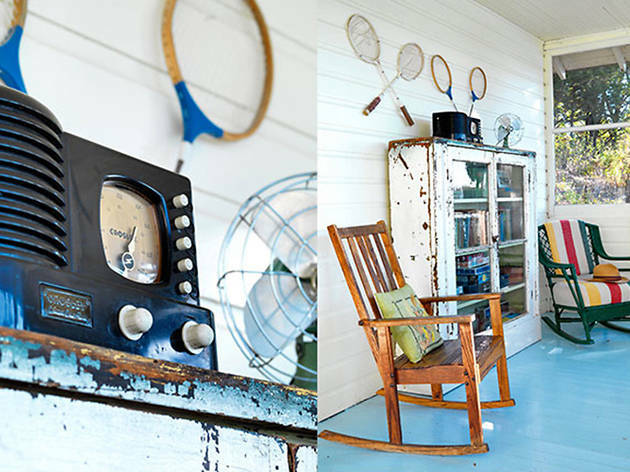 Thanks to Airbnb, outside guests can now reserve the camp’s charming two- and three-bedroom vintage cabins. 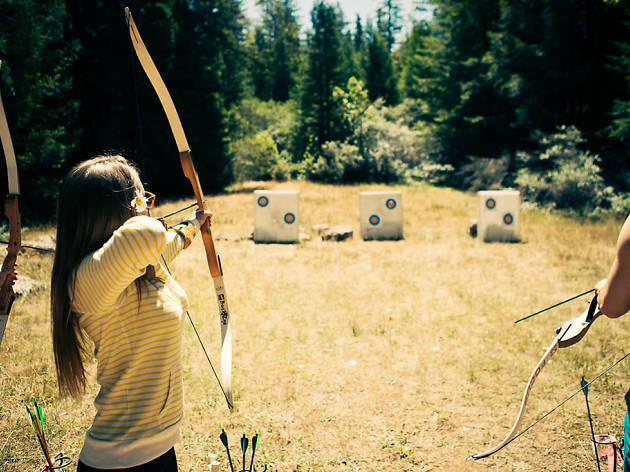 Bygone activities abound, from canoeing and dock fishing to shuffleboard and archery. No food or drink is included, but outdoor grills and smokers mean you can indulge in multiple barbecues a day. It was inevitable, right? Colorado, the first state to legalize marijuana, is now the first state to bring a little bud to your bunk. 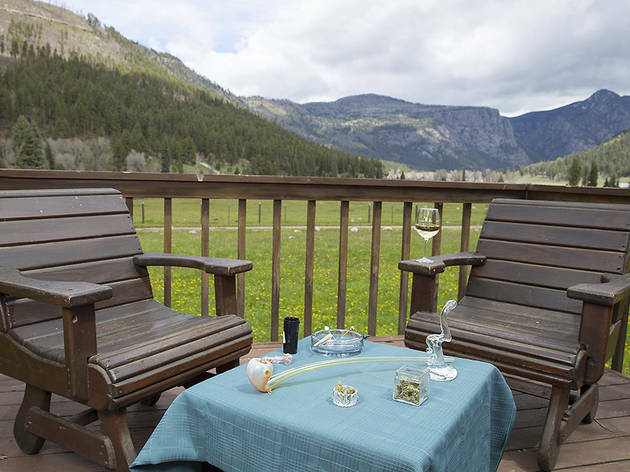 Here’s the 411 on your 420 respite: The all-inclusive CannaCamp offers access to practically every cannabis-friendly activity imaginable: yoga and cannabis; painting and cannabis; cooking and cannabis. (You get the idea.) The bud-light crowd can still indulge in plenty of high-on-life activities in the gorgeous mountainous terrain, including fishing, paddleboarding and hiking. There’s also a nightly campfire, which we’re guessing is the most chill campfire you’ll ever encounter. 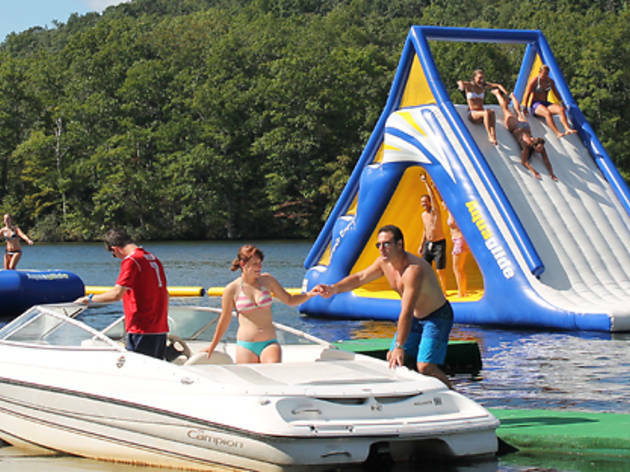 For long weekends throughout the summer, fun-loving adults—many from NYC—gather at Club Getaway for team sports (basketball, softball), water activities (kayaking, waterskiing, water trampolines), adventurous retreats (rock climbing, trapeze) and legions of day and night socializing, including late-night parties in the Boathouse Lounge. The luxurious cabins offer views of the lake and surrounding mountains, and all three meals are decadent affairs (buffet breakfast, barbecue lunch, wine-heavy sit-down dinner). Life lesson: Overnight camp is a lot more fun when happy hour is involved. Resist the “American Pie” jokes because this is serious business. 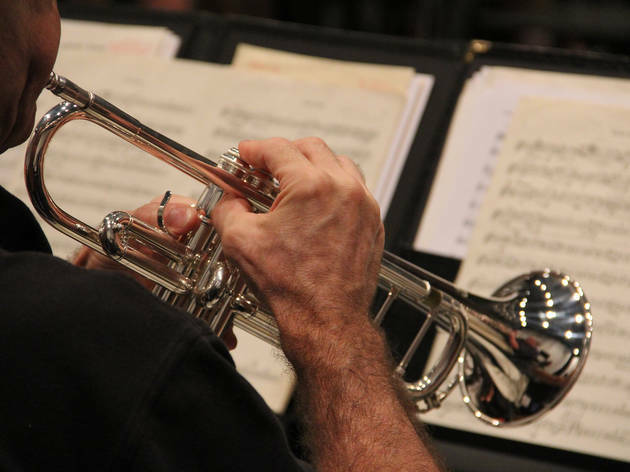 Woodwinds, strings, percussion and brass come together at the Michigan arts institution for an intense week of full orchestral rehearsals interspersed with sectional retreats, master classes and private lessons. Adult Band Camp concludes with a performance open to the public, and considering that Interlochen attracts artists and musicians from all over the country, the pressure is high indeed. Luckily, the bucolic 1,200-acre campus, bookended by two lakes, will help you hang onto your Zen mind-set and counteract stage fright. Time to move past s’mores. 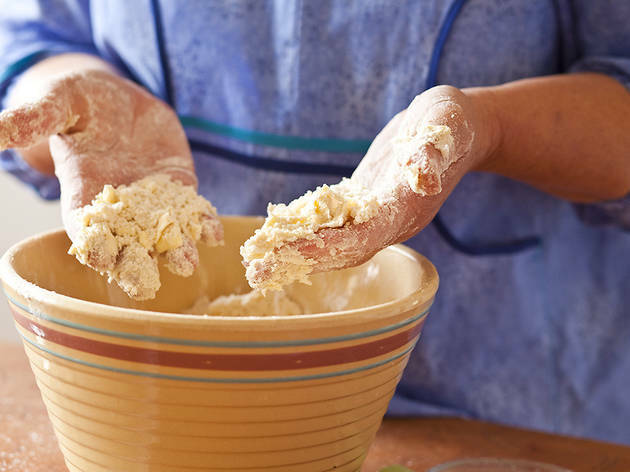 Celebrated pastry chefs Mindy Segal and Katie McDermott join forces at a 37,000-acre ranch in rural Montana to teach their crust-acular crafts at the Upper Crust Pie and Cookie Camp. McDermott, the pie professional, walks you through recipes sweet and savory, while Segal reveals her classified cookie and pastry secrets. In between flour-dusted sessions, you can go horseback riding, attend wine tastings and take ATV tours. Come evening, you’ll hang up your chef’s hat and dine at the retreat’s gourmet restaurant before retiring to an upscale-rustic cabin or tent. If you’re anything like us, you drink copious amounts of wine and still don’t know much about the stuff. But after Grape Camp, a deep dive into Northern California vintner culture, you’ll confidently call yourself an oenophile. 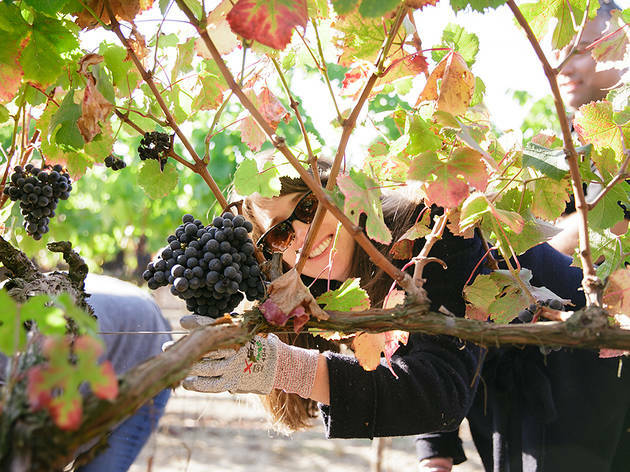 Over three packed days, you’ll meet local winemakers, try your hand at grape harvesting, explore the local culinary scene and even press a little juice. Day drinking? Try morning drinking—you’ll be sampling Sauvignon Blanc straight from the barrel before 9am. But the nighttime landing is a little softer when you’re retiring to a Mediterranean-style luxury hotel nestled in the middle of a 92-acre vineyard. Okay, so you don’t technically launch into the stratosphere, but everything else about Space Camp is pretty damn boss. 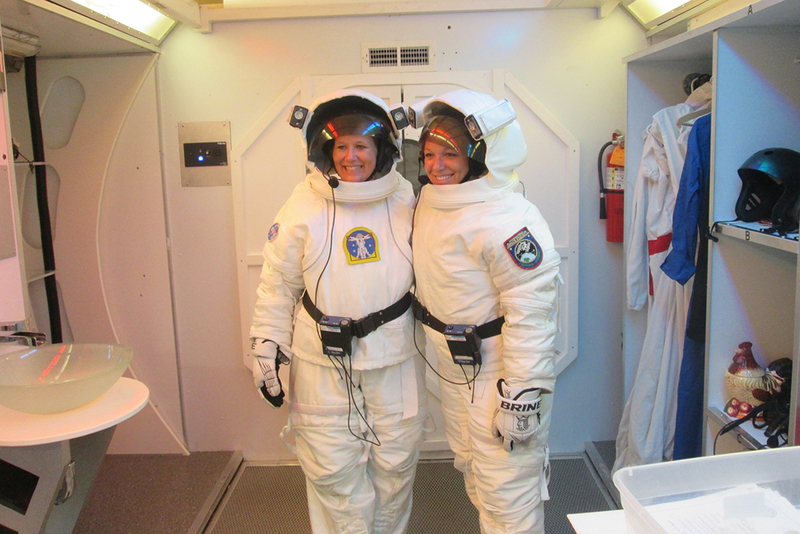 Over three immersive days, you’ll channel your inner Sally Ride and train on astronaut stimulators, including a gravity chair and that multiaxial doohickey you always see in the movies. (Speaking of movies: Gear yourself up by Netflix-ing the 1986 classic Space Camp, featuring a teeny-tiny Joaquin Phoenix). You’ll also help build and launch a model rocket and immerse yourself in the history of the U.S. space program. 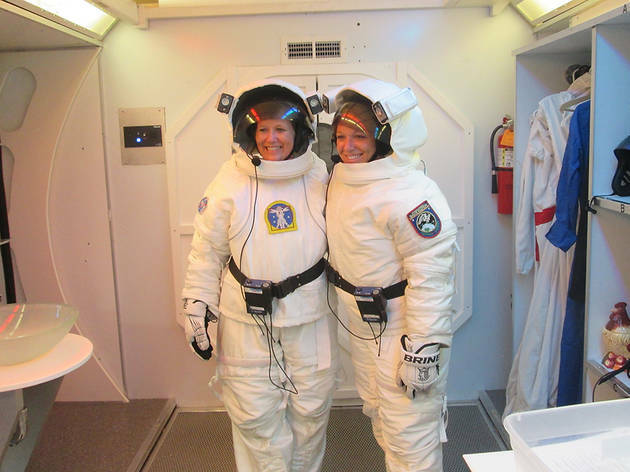 Be warned, you’ll not only train like an astronaut, but sleep and eat like one too—which means dormlike facilities and cafeteria-style food. Remember that milk-carton birdhouse you made at Camp Craftamonga? Exactly: Most summertime art projects are not made to last. A wooden boat, however, is forever. 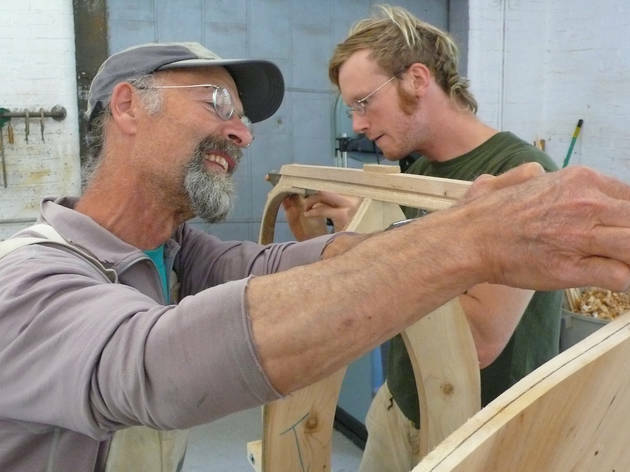 At this sleepover retreat in deep coastal Maine, you’ll spend one to three weeks building the boat of your dreams—a sea skiff, a dinghy, maybe even a wooden kayak—using traditional plans and building methods. At night you retire to a shared student house on the school’s gorgeous 60-acre “saltwater campus,” and wake up to the rocky harbor views. 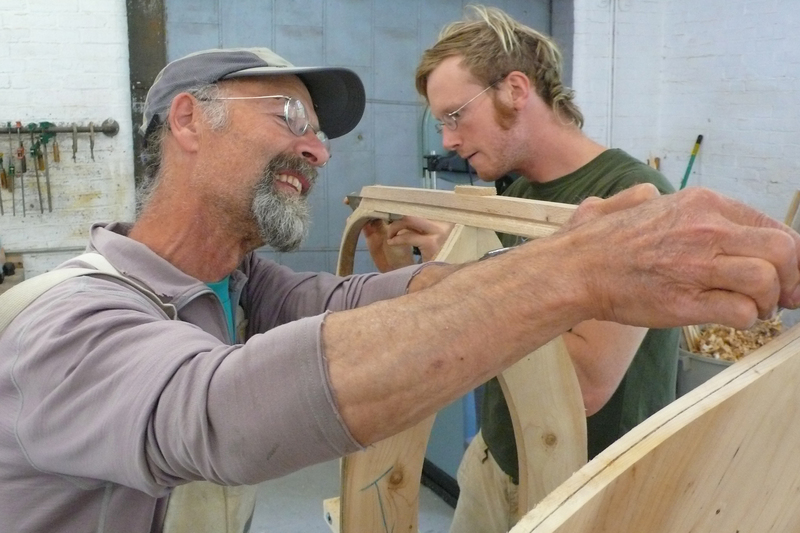 Those who prefer doing to making can explore the myriad overnight sailing and kayaking programs. Ever played volleyball while naked? Now’s your chance at this members-only, clothing-optional LGBT getaway. 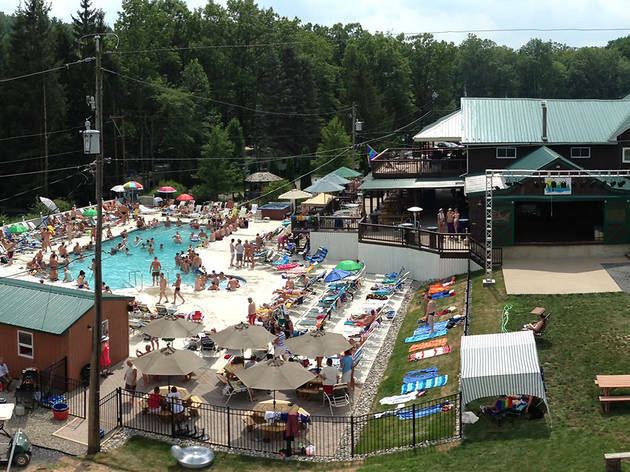 At The Woods, couples and singles mix it up between lake activities, hiking and hot-tubbing; special themed weekends might include naked foam parties or mass skinny-dipping. The clubhouse is the nighttime gathering spot, with deejayed dance parties and a bonfire area just out back.